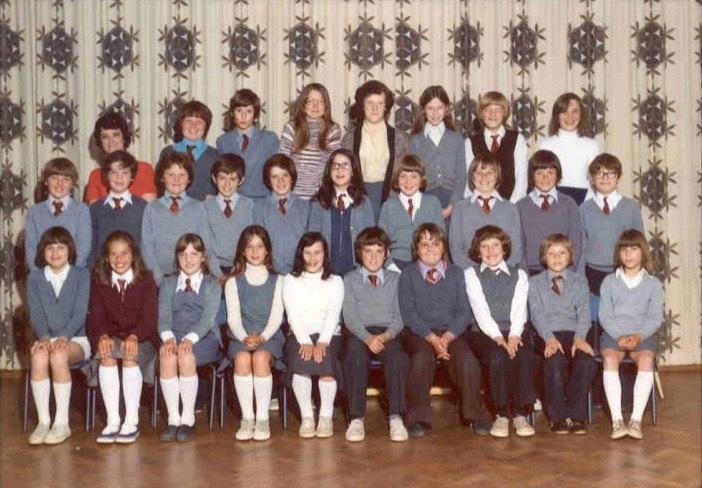 BACK ROW right of Mrs Stone L-R: Sharon Downe, Vicki Goode, Robert Munns, Linda Jones, Deborah Gurney, Jackalyne Henshaw, ? 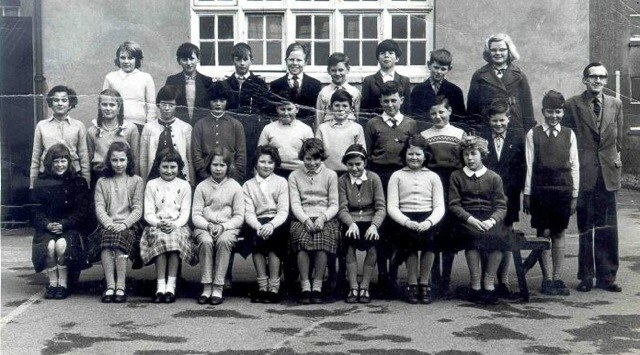 If you left Colney Heath School in 1962, you are probably here. We know more about this team because their names were recorded. 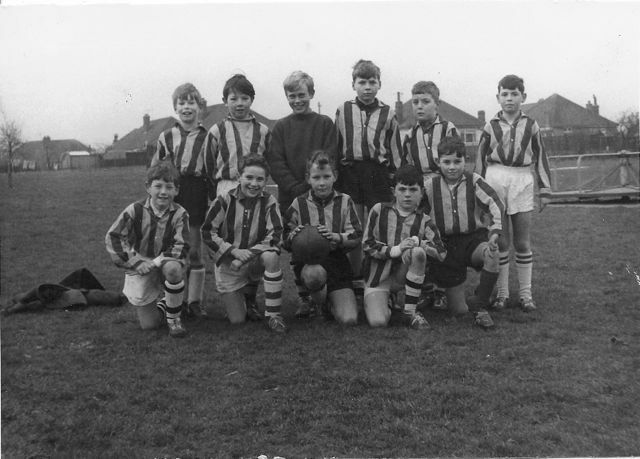 So, if you were a member of the 15th St Albans Cub Scout Pack in 1968 you will know all of these young players as your friends. Do you recognise yourself? 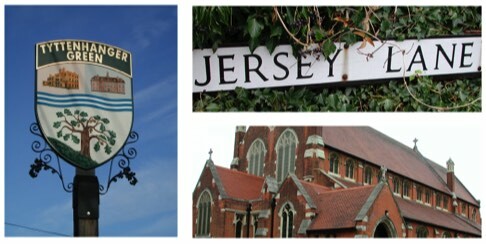 The 15th was attached to the Ss Alban & Stephen Church and had its headquarters in Cecil Road and then Vanad Crescent. No details for this photograph have been received. 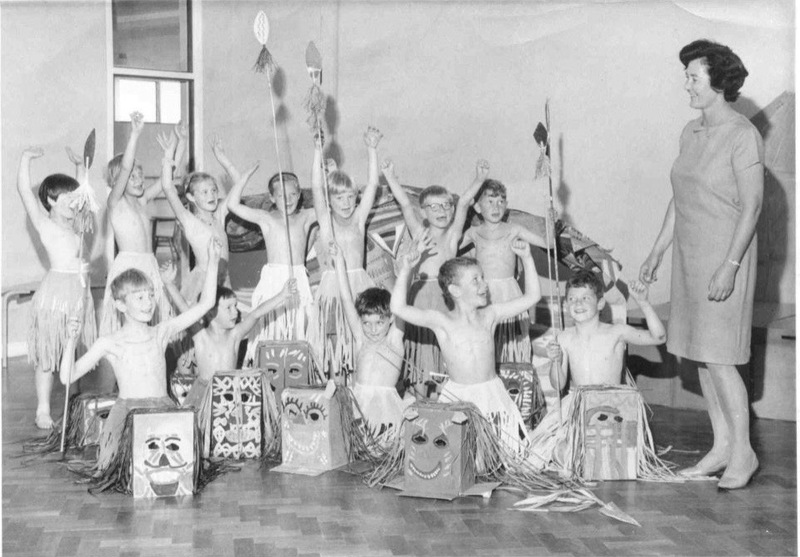 Please let us know if you recognise anyone, or tell us something about the performance. 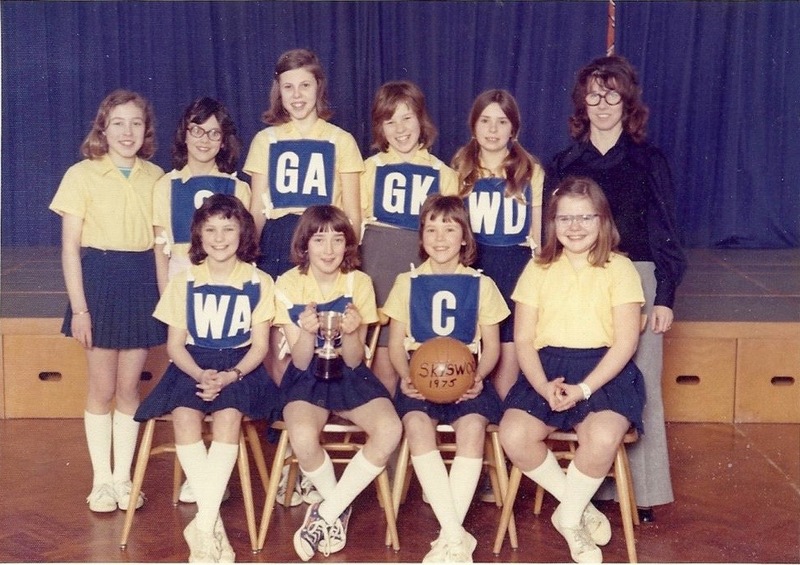 Netball team at Skyswood JMI School in 1975. 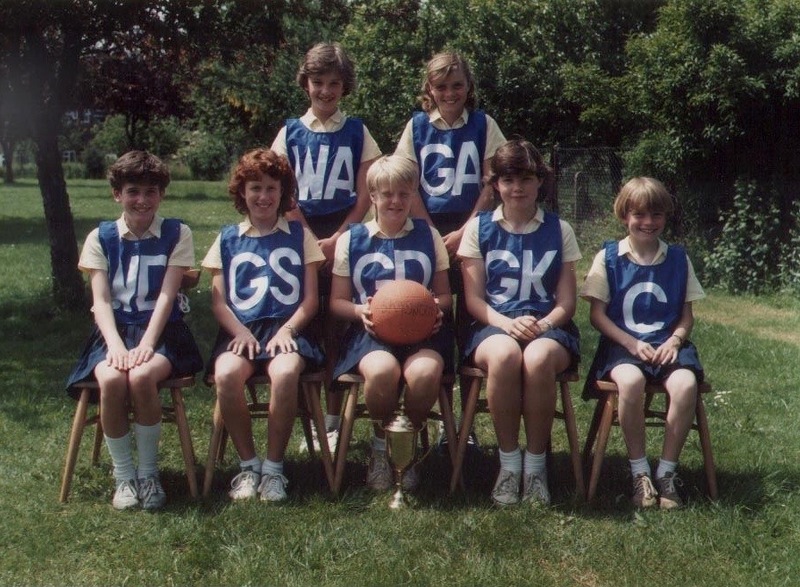 No-one has yet been recognised in this happy and successful netball team. 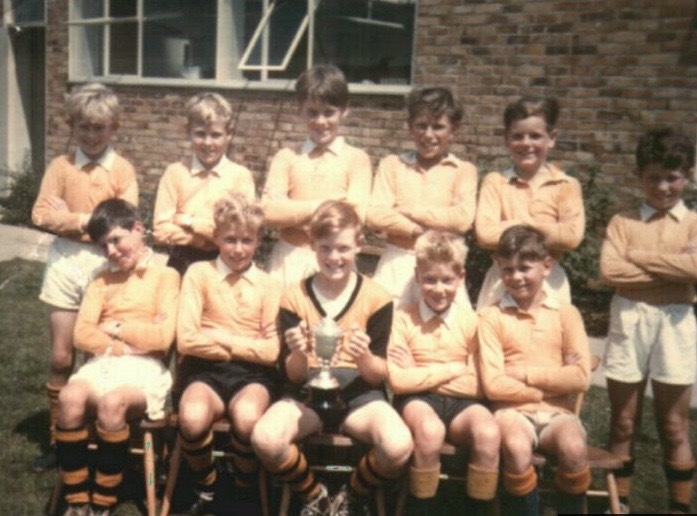 No-one has yet been recognised in this later netball team. 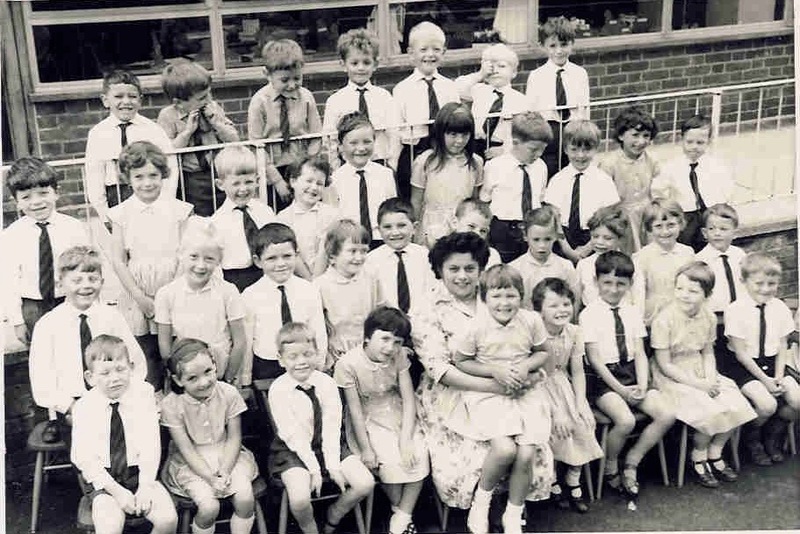 A class full of young children no-one has yet recognised. Who are we? 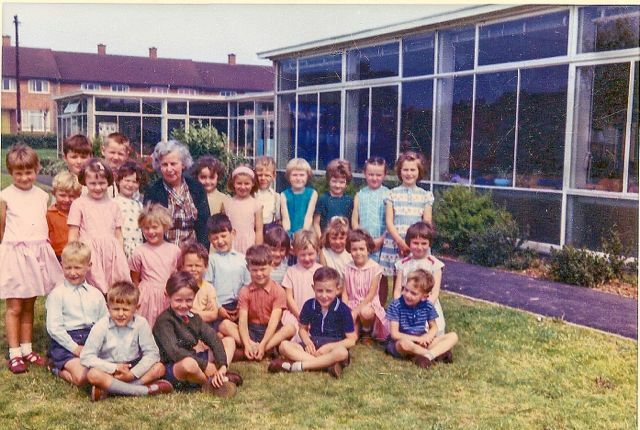 A class of 27 and our teacher. We lived in Marshalswick!